Stryker Orthopaedics has notified surgeons that they are voluntarily recalling certain lots and sizes of their LFIT ANATOMIC COCR V40 FEMORAL HEADS because of catastrophic health risks to patients. Unfortunately, many patients were implanted with this hip replacement system, and have been subjected to excruciating pain or forced to undergo a second painful revision surgery because of critical design failure in this defective medical device. The Stryker LFIT V40 Femoral hip implant was fast-tracked through the FDA by Stryker without adequate and rigorous safety testing. Unfortunately, there have been many reports of catastrophic failure where the cobalt and chromium heads of the patient’s hip implant snaps off the femoral stem, known as “spontaneous dissociation”. Spontaneous dissociation results from severe metallic corrosion and requires an invasive emergency surgery to remove both the femoral stem and snapped off head. When the metal components grind together, there is a release of tiny particles of metal debris. This debris accumulates around the hip joint, causing pain, swelling, inflammation, bone loss, and soft-tissue growths. High levels of metal ions, particularly of Cobalt and Chromium in the bloodstream (also known as metallosis) can also cause reactions in other areas of the body. 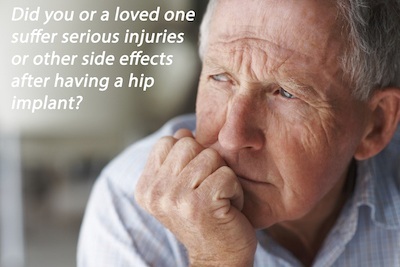 What are the Stryker Hip Injuries? In August, 2016 Health Canada has issued a recall of the Stryker LFIT CoCr V40 Heads stating, "Stryker has received higher than expected complaints of taper lock failure for specific lots of certain sizes of LFIT Anatomic COCR V40 Femoral Heads manufactured prior to 2011." Orthopedic doctors began notifying patients of this recall by letter in September of 2016. If you received a notice of recall from your Orthopedic Surgeon, it is very important that you consult with an experienced attorney right away to ensure your legal rights are protected. If you or a loved one had a Stryker Metal on Metal Hip Implant and have suffered injuries with the device, contact the attorneys at Dr Shezad Malik Law Firm to learn more about your legal rights. You can speak with one of our representatives by calling toll-free at 888-210-9693 ext. 2 or 214-390-3189, or by filling out the case evaluation form on the right of this page. In May 2014, five lawsuits involving the Stryker Accolade were filed in New Jersey — in the same court where Stryker faced hundreds of lawsuits involving the ABG II and Rejuvenate hip implants. Plaintiffs accused Stryker of failing to warn that the Accolade TMZF hip stem in combination with the LFIT anatomic V40 femoral stem created a “metal-on-metal” hip implant, with higher rates of corrosion and metal toxicity.